Southwest Michigan Interior Design - Flooring, Tile, Counters, and more! Click the icon opposite the logo to view mobile menu. Visit our showroom, meet with a designer, and create a look you'll be satisfied with for years to come! MORE THAN FLOORS – WE ARE YOUR CUSTOM DESIGN STUDIO! Howland Floor Covering is not only your source for quality carpet, hardwood, tile and vinyl, but also backsplashes, countertops, vanities, lighting, plumbing fixtures, cabinet hardware, and more. Talk to us today about scheduling your in-home design consultation. From start to finish, we’re with you through the entire process of your design project and are known for our professional and meticulous installation. Creating relationships built on trust is why we’ve been serving clients in the southwest Michigan area for over 25 years! We carry and install any type of flooring that you desire - carpet, vinyl, hardwood, laminate, ceramic, marble, and more. 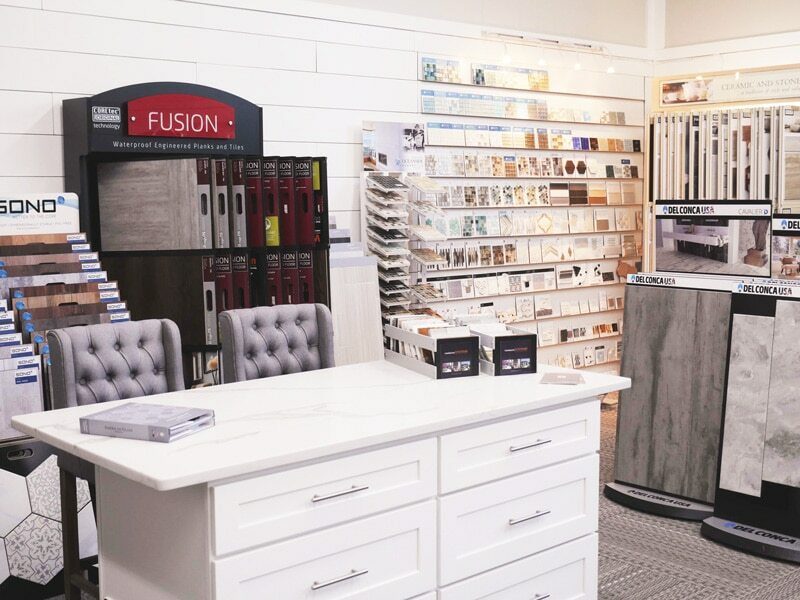 We offer some of the world’s finest ceramic and porcelain tile fashions as well as the accessories needed to make your project perfectly personal and unique. Enhance the appeal and usefulness of your kitchen and bathroom. We design and install high-quality kitchen and bathroom countertops of stone and man-made materials. By offering in-home design services, we are able to assess the customer's vision better than if we just met in the showroom. This allows us to create a more personal experience for our customers. Visit our showroom today and meet with a designer. We are open 9:00am – 5:30pm, Monday – Friday. I have worked with Amie at Howland Floor Covering for many years on commercial and residential jobs. She is amazingly creative and conscientious. If I can't find the right tile or Flooring in the store she searches her many resources for the right product. Highly recommend them. Our experience was wonderful. The pricing, service and installation was perfect and the sales staff was up to date on all of the latest products and information. The tile installer did an amazing job and was really interested in the end result of the project. I highly recommend checking this place out!